No cold-weather running outfit is complete without something to cover your head. Some runners opt for a ball-cap, while others choose a headband. However, when the temperature really drops and you are running in colder weather, nothing protects your head better than a running beanie. Designed to fit snuggly and avoid riding up or slipping while in motion, beanies protect your ears from the cold and act as a sweatband to wick away moisture. Proper beanies meant for athletic activity will never get soggy from sweat, so your body temperature remains regulated even as you exercise. No matter what length of hair you have, beanies can help you perform better as a runner and stay comfortable. Running beanies come in a variety of materials, each providing their own benefits and disadvantages. Here are some of the best beanies for running. The Salomon Active Beanie not only is effective at keeping you warm–it’s also stylish. The beanie’s moisture management system moves sweat away from the skin without sacrificing heat. The bfast-drying microfleece always remains soft. Even after many machine washings, the Salomon Active Beanie keeps its shape and elasticity. While thick enough to keep even the most heat-craving head warm, the beanie is thin enough to wear under a helmet and stretchy enough to wear over a ball cap, should you want layers and sun coverage. 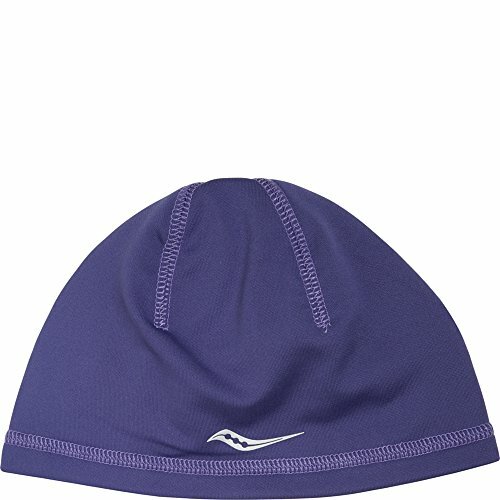 The Saucony Omni Skull Cap is reversible, so if the hat accumulates moisture on one side, you can flip it inside out and continue running. Both sides are stylish, so you don’t have to worry about getting funny looks with your hat flipped. The Saucony Skull Cap will stay warm and dry no matter how long you’ve been running. If you use product in your hair and worry that it will get in your eyes through sweat, this hat will be tight enough to keep hair out of your eyes and wick away moisture. The Skull Cap can be stretched over the ears to ensure they’re always warm. The hat will stay in place even during vigorous trail runs and track workouts. The hat’s simple design matches easily enough with most running outfits, while never sacrificing performance. The Saucony Omni Skull Cap will be an exceptionally warm hat for serious runners. The breathable Mizuno Breath Thermo Beanie allows airflow to permeate across your scalp, ensuring your head is warm but never soggy. Ideal in cool temperatures, this beanie might not be the best choice in below-freezing temperatures. 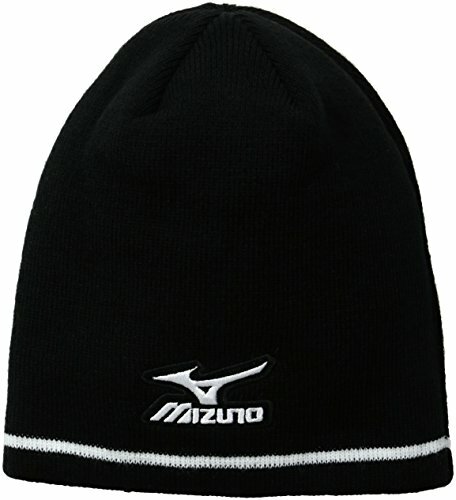 Still, the Mizuno Breath Thermo Beanie is lightweight and fits securely against the head. The hat is stretchy enough to be pulled over the ears but won’t lose its shape through continuous use. The material absorbs ample amounts of sweat while never allowing moisture to drip into your eyes, so you can run clearly without having to stop and mop your face. What’s more, the durable polyester material will last through successive washings, hundreds of runs and whatever else you can throw at it. Functionally superior and aesthetically stylish, the Mizuno Breath Thermo Beanie ensures you can perform at your peak as temperatures turn colder. While capable of keeping your temperature regulated year-round, this hat excels in winter. Its next-to-skin feel makes you think it’s barely there, while always keeping you warm. The Merino fibers are wrapped around a nylon core, improving this hat’s durability without sacrificing comfort. The hat can be gently machine washed and dried on the line to prevent shrinkage and extend lifespan. As such, this hat will last for multiple winters. The Smartwool Merino 150 Beanie’s breathability keeps moisture from accumulating on your head, improving comfort while never putting you at risk of losing too much heat through excess sweat. The soft feel will make you think it’s barely there. The flatlock seam design also mitigates chafing and keeps you comfortable while exercising. Combined with the sweatband-like ability to keep moisture from your eyes while regulating body temperature, the Smartwool Merino 150 Beanie is the perfect choice for safe cold-weather running. 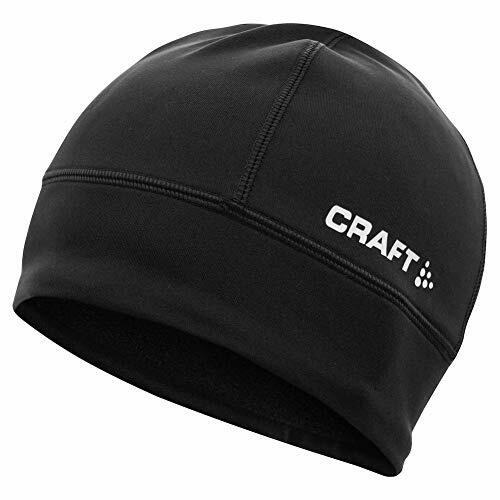 Craft provides exceptional running products, and their beanies are no exception. The hats can be used for a variety of sports, including helmet-wielding sports such as skiing or cycling, but the Craft beanies are designed to optimize running performance. 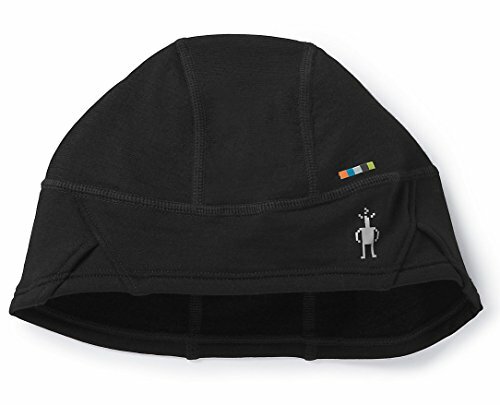 The slim fit keeps the beanie snug against your scalp, preventing the beanie from slipping or riding up. The beanie stays dry even after hours of sweating. The moisture transportation makes the material feel dry, and once the hat has been washed, its quick-dry material allows you to use it again quickly. The Craft beanie is tight enough to keep hair in place while never cutting off circulation, ensuring comfort throughout usage. It is at its best for just-below-freezing temperatures. The beanie’s internal channel stitch means that the seam won’t rub against your scalp. While relatively low-cost, the Craft beanie ensures supreme performance for casual jogs, weight-loss aerobic training, or long-distance endurance running. 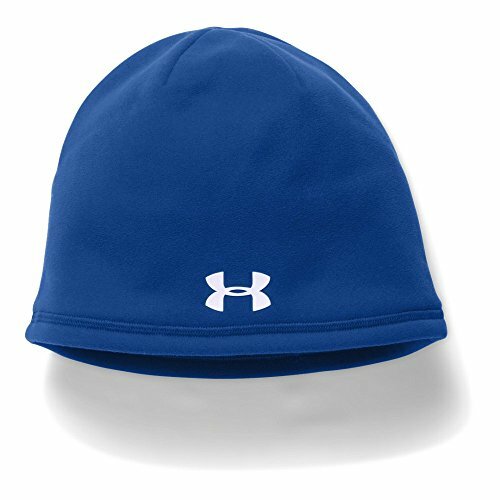 Under Armour’s beanie uses soft, brushed fleece for a comfortable head-feel. The DWR finish on the hat protects your head from rain or snow while ensuring maximum breathability. The skull cap style protects your ears and forehead from sweat, and the soft inner stitching prevents chafing. An absorbent inner lining soaks up sweat without the hat feeling over-saturated or heavy. The UA Storm technology keeps the hat in-shape and in-use even after years of wear. Under Armour’s thermo-conductive inner lining retains body heat and keeps the head warm. Functional and light-weight, the Under Armour Men’s Element Beanie provides a fashionable look without sacrificing performance. 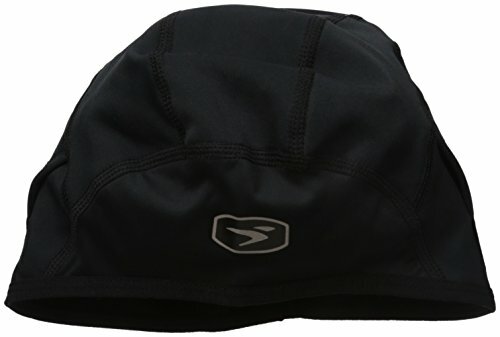 The Sugoi Firewall Skull Cap is made from 90% polyester and 10% spandex to provide a comfortable yet stretchy hat. The WindBlocker softshell front panel cuts against the wind and keeps the chill away from your skin. The thermal zap further improves warmth by locking in body heat. The hat’s four-way stretch allows the thermal fabric to adapt to your body, and lets you pull it over your ears or other parts of the head. The Sugoi Skull Cap is compatible with glasses, as the beanie provides ear slots for no-slip eyeglass wearing. Water-resistant and wind-resistant technology keep you protected during inclement weather. The material is effective at wicking moisture away from the skin and preventing sweat from falling onto your face. The Sugoi Skull Cap is warm enough to keep the head comfortable, while thin enough to be worn in competitions or under helmets for triathlons. 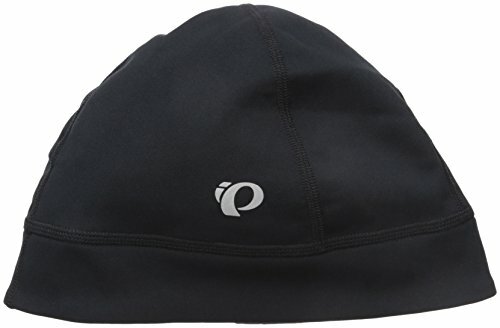 The Pearl Izumi Thermal Hat’s fast-drying material keeps your head dry while running. While training in the cold, this hat keeps you warm and comfortable. The stretchy 100% polyester ensures premium comfort for a wide range of head sizes. Reflective elements add low-light visibility for nighttime training. 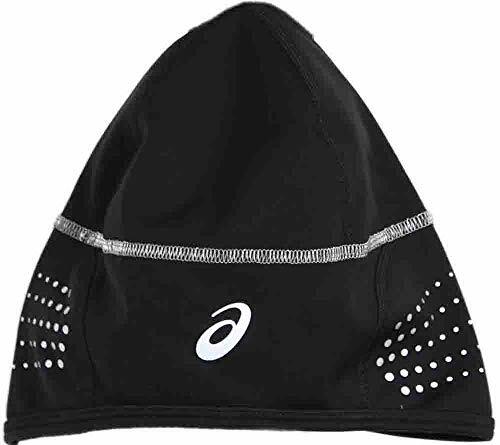 Runners wearing the Pearl Izumi Thermal hat choose it for its moisture wicking ability. The hat never feels heavy or soggy during use. The hat sits comfortably on most heads and ensures a snug, no-slip feel. Once washed, the hat dries quickly for next-day use. The Pearl Izumi Thermal hat is available in a variety of colors, allowing runners to choose a hat that fits their personality and taste. ASICS continues their trend of premium sportswear into their Lite-Show Windblock Beanies. The hat has 10K water repellency and 4K breathability for element protection. As the name suggests, the beanie is perfect for wind protection. The insulating fleec-backed material ensures maximum comfort and warmth. The reflective graphic detailing along the hat’s lining allows 360-degree reflectivity, perfect for night running. The contoured shape of the Windblock beanie provides better coverage and can be pulled down to protect the ears, forehead and upper neck. The SmartWool PhD Training Beanie is made from a lightweight Merino/polyester wool blend, ensuring optimum warmth while never getting too hot. After sweating through or getting washed, the beanie dries out quickly, so it can readily be used for the next run. The blend also allows the beanie to retain its shape even after successive washings and sweat applications, increasing this beanie’s lifespan. 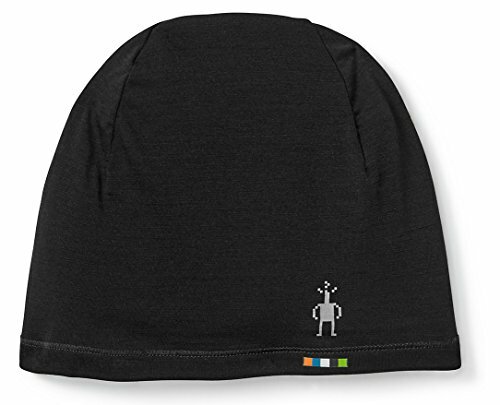 The SmartWool PhD Beanies are effective at keeping you warm, but are never bulky. You can throw it in your pocket or keep it in your bag without it taking up too much space. Use it for running, sledding, camping or a variety of other cold weather activities. The PhD Training Beanie is thicker and has more stretch than the Merino 150 Smartwool Beanie. 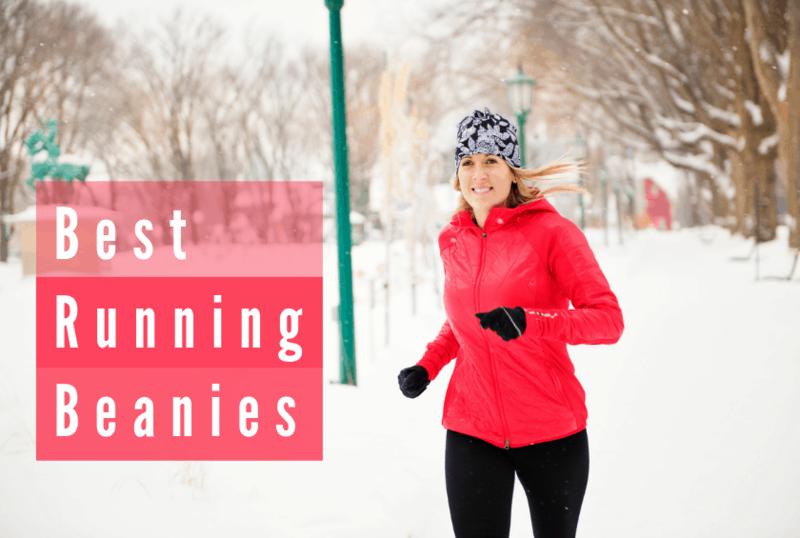 This makes it ideal for colder-weather runs.